Once again, I was inspired by Paul Klee, Bauhaus Master, for today’s experiment. The Kettle Drummer was in the back of my mind, but Blue Bird Pumpkin gave me the idea for a solid background that surround two colored disks. I am satisfied with this composition as a first step of exploration of this subject. In particular, I need to work on the cymbalist’s eye to express what it would be like to crash the cymbals together. Aside from trying myself or watching the introduction to Hitchcock’s The Man Who Knew Too Much, I’ll just have to imagine. 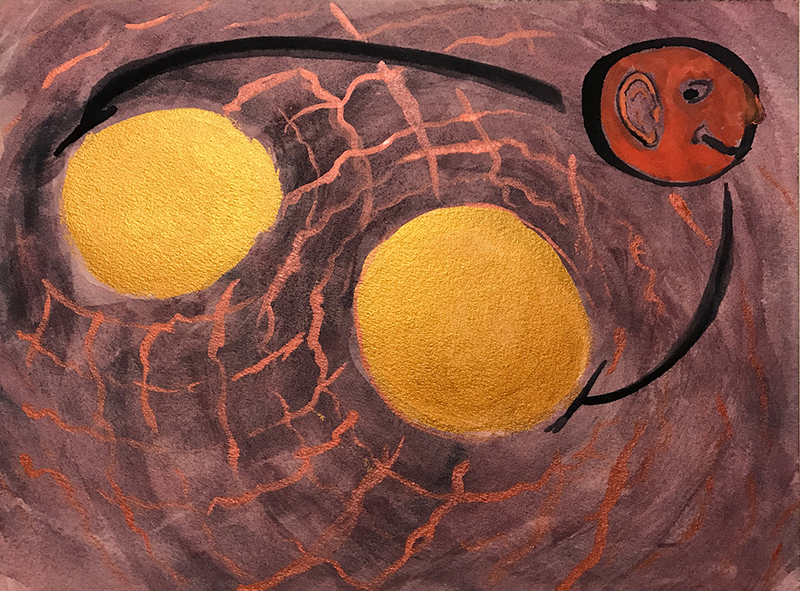 This entry was posted in Personal Stories and tagged abstract art, artistic process, creativity, cymbalist, cymbals, eye expressions, painting, Paul Klee, visual arts, watercolor. Bookmark the permalink. Amen to Klee as inspiration!